The Grove, a mid 19th century residence designed by famed architect Richard Upjohn has fallen into serious disrepair. The Village of Cold Spring, NY recently acquired the property and is planning to restore this building for public use. 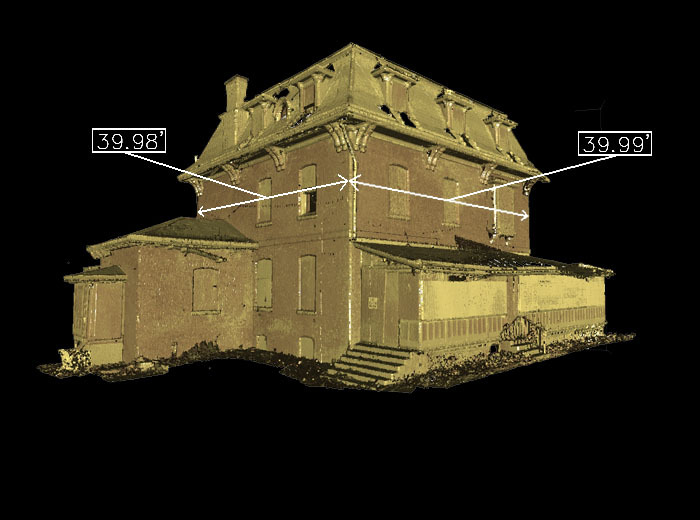 This is one of several scanned images produced by Badey & Watson and being used by the architect to evaluate the feasibility and cost of the restoration. 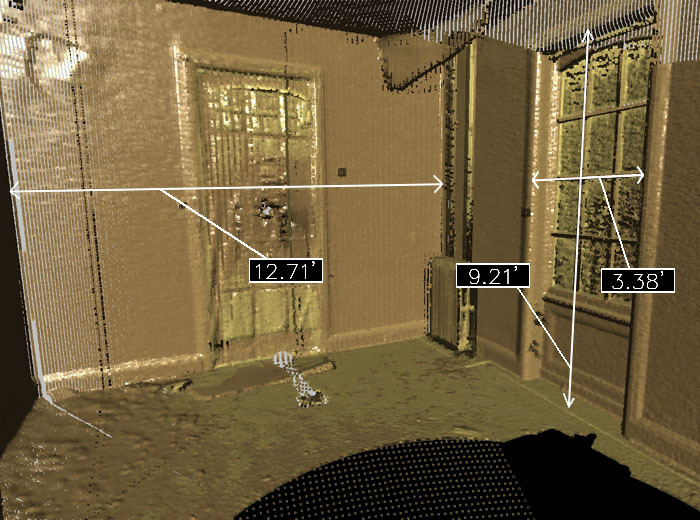 This scan shows the deterioration of a room in the Grove. Interior details such as moldings and window muttons can be selected and scanned to provide the additional detail needed to allow accurate restoration and reproduction.